Meyer Distributing CEO and Republican U.S. Senate Candidate Mike Braun yesterday unveiled a new advertising campaign titled “Swamp Brothers,” that may remake how outsider candidates run against their establishment Republican primary opponents. The ads will run across the state on television, radio and digital and you can watch the YouTube version through this link. The “Swamp Brothers” ads feature “Todd the Fraud” Rokita and “Luke the Liberal” Messer’s voting records in Congress and attack their status as career politicians hopelessly engulfed in the Washington DC swamp. Tony Cook, political reporter for the Indianapolis Star says that the three-way contest will determine who takes on U.S. Sen. Joe Donnelly in an election that could help determine which party controls the Senate. Donnelly is widely considered one of the most vulnerable Democrats in the Senate, given Trump’s strong showing in the state in 2016. Cook says the second hour-long debate at the WISH-TV studios in Indianapolis revealed few policy differences between the three candidates. All three argued they were best suited to advance President Donald Trump’s agenda, and they each expressed support for recent missile strikes in Syria, building a border wall with Mexico and allowing trained teachers to carry firearms in schools. But in a race that has been characterized by attacks, most of the barbs on Sunday were aimed at Braun, a wealthy businessman who has poured millions of dollars of his own money into the race. The Jasper resident has bombed the airwaves for months with advertisements that paint him as the only candidate with real-world business experience and the only non-career politician in the race and the “Swamp Brothers” ad appears to be Braun’s answer to the coordinated punch-up he received in the last debate. Click here to visit the Mike Braun website, click here to watch the “Swamp Brothers” TV ad, and click here to listen to the “Swamp Brothers” radio ad. Mike Braun: I’m Mike Braun and I approve this message. 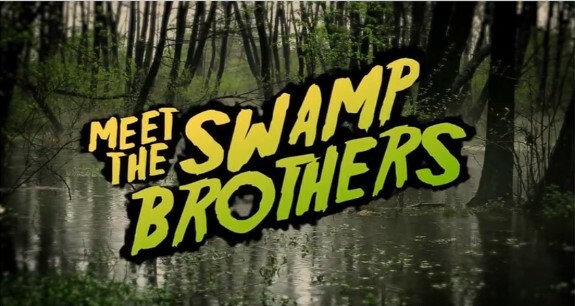 Voiceover: Meet the Swamp Brothers – Congressman Todd Rokita and Congressman Luke Messer. Todd and Luke fast tracked Obama’s trade deals and voted for billions in new debt. There’s more: Todd and Luke voted to fund abortion provider Planned Parenthood and Obama’s executive amnesty. Todd’s no conservative. He’s a fraud. Luke’s no conservative. He’s a liberal. Todd the fraud. Luke the liberal. The swamp brothers. Wrong for you. Voiceover: Have you met the swamp brothers – Congressman Todd Rokita and Congressman Luke Messer? You already know their stories. Todd Rokita and Luke Messer are two lawyers, who never practiced, and became career politicians. What makes them swamp brothers? It’s their records in Washington. In Congress, Todd Rokita and Luke Messer voted to fast track Obama’s bad trade deals, trade deals which could have cost Indiana thousands of jobs. And Todd Rokita and Luke Messer voted for billions in new debt – five hundred billion dollars to be exact. But there’s more, and it’s even worse: Todd and Luke voted to fund abortion provider Planned Parenthood and Obama’s executive amnesty. Voiceover: Paid for by Mike Braun for Indiana.